The first program is a Python based Play Engine that operates in a terminal window. 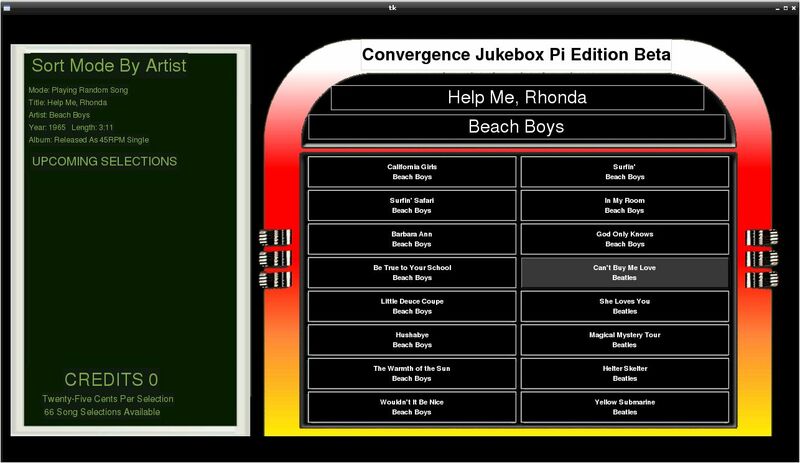 It’s function is to first catalogue all of mp3’s that make up the Jukebox’s content and then to play that content either randomly or from a playlist that is generated when a user selects a song. The second program is a Python based Tkinter GUI application that the user interacts with to select songs, monitor upcoming selections and display credits. The first thing I had to do was to set-up the proper output which in this case was using an HDMI monitor. In my previous post Convergence Jukebox Now Ported To Raspberry Pi I noted where to find the information that describes how to get a USB soundcard working on a Raspberry Pi. However, prior to setting up my USB soundcard, I was unable to get sound via my HDMI connection. I found this link —Sound does not work with an HDMI monitor— that explained the process. NOTE: I found I had to reverse the what I had done to enable my USB sound card in order to get the HDMI audio working. HOWEVER: the method above described creates an image file as large as the card itself. Hence the 64 gig card I’m using –so it can hold a large number of mp3 files– took a long time to create the image file. I decided to go with it and eventually rebuild a small working version on a 2 or 4gig SD card at a future date. After all an SD disk img file only needs the os and files to get the the program running. The mp3 library can always be added to a rebuilt SD card later. I found this post “Choosing which programs run when the Pi boots” to be useful. It’s short and concise and its last section describes simply describes how to run a Python program at Bootup. In implementing this process I discovered as the Jukebox Player Engine started that it lost the path to it’s ancillary files and the program would not run. I located the fix using the information at this link “Python os.chdir() Method“. By adding two lines of code to Engine the the problem was solved. Once my Player Engine was happily playing songs I quickly discovered that the screen would go to sleep and go blank. Not good for a continuous Jukebox Application. I solved this problem by following the instructions at this post on how to disable screen sleep on the Raspberry Pi. The method described in “Choosing which programs run when the Pi boots” is great to run python terminal programs, However it turns out that is not good for running Python Tkinter GUI programs. 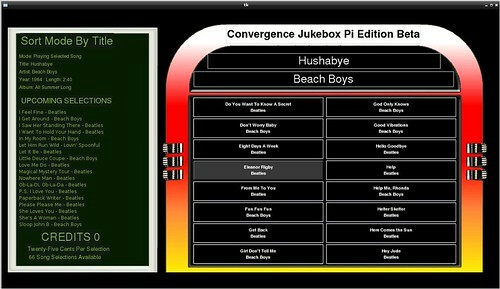 As mentioned previously the Convergence Jukebox GUI program uses Tkinter to generate the Jukebox GUI. In order to run a Python script that requires Tkinter one has to have the Lightweight X11 Desktop Environment (or LXDE) running prior to starting a Tkinter application. This link “Autorun browser on startup“ gives one a clue on how to run a GUI application once LXDE runs. This second link “Running a Python Script AFTER X GUI Starts up” shows specifically how to run a python script after the LXDE has started. There are a few things I learned that are worth noting here. A Python terminal application is best auto started in the /etc/rc.local file as described in Choosing which programs run when the Pi boots“. A Python Tkinter GUI application is best auto started from the /etc/xdg/lxsession/LXDE/autostart file as described in “Running a Python Script AFTER X GUI Starts up“. I could not get both programs to run when I placed them in the LXDE autostart file no matter how hard I tried. And finally…. At some point during my exploration my GUI stopped displaying. Eventually I believe it was because of the Python file permissions. While my Player Engine was compiled Python code (.pyc file) my GUI program was not. Apparently if one does not log into the Raspberry Pi –as would be the case when a program is auto started at boot up– one has to make a python script executable by changing permissions. In my case I used the Raspberry Pi’s file manager as discussed in this blog post “Making A Start“. 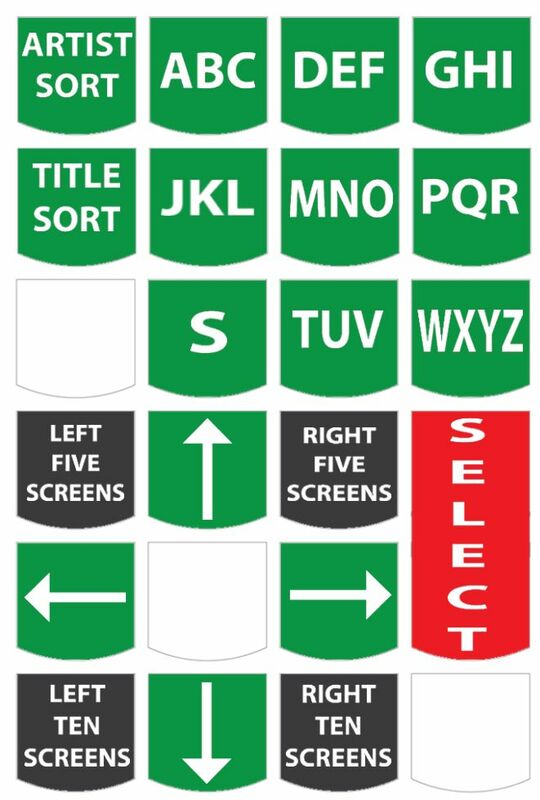 Once I had the Jukebox booting correctly on my Raspberry Pi I wanted to hide my mouse cursor. I discovered how to do this by reading this post called “Hide mouse cursor“. 10. Setup the USB soundcard by following instructions at http://learn.adafruit.com/usb-audio-cards-with-a-raspberry-pi/instructions Start at Updating alsa options on that page.